Tax Refund Burning A Hole In Your Pocket? 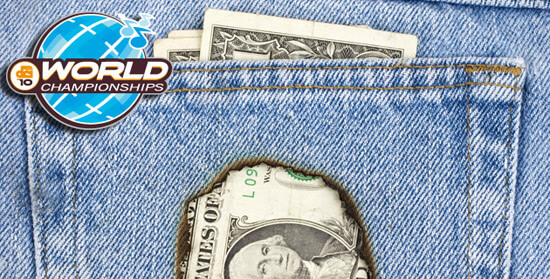 Get that smoldering cash out of your pants pockets! Drum Corps International is currently featuring a Tax Refund Special through Ticketmaster on tickets to the DCI World Championships, Aug 12-14, in Indianapolis. You may purchase up to 8 seats for any of the World Class events (Quarterfinals/Semifinals/Finals) and receive 10% off of your ticket price. Simply enter promo code tax2010 during the checkout process. Offer is only valid through Monday, May 10. Get your tickets now! Visit Ticketmaster.com for additional details and to order today! Have Your Tickets? Reserve Your Place To Stay! Downtown Indianapolis offers some incredible hotel accommodations for your 2010 World Championship experience. With great city-center locations, you'll find yourself right in the middle of all the action, within walking distance from Lucas Oil Stadium and surrounded by the city's best restaurants and attractions. Drum Corps International has partnered with many of these locations to offer special fan rates during your stay. Check availability and book today at DCI.org/indyhotels.